New Album out This Friday on Metal Blade Records! Motor City thrashers BATTLECROSS will release their long awaited third album “Rise To Power” this Friday via Metal Blade Records. 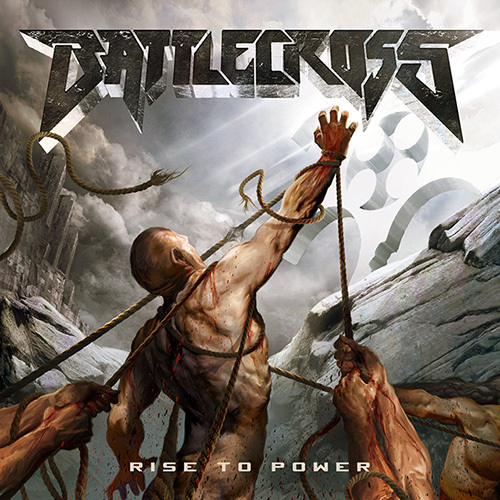 But before they do, BATTLECROSS is giving fans a chance to stream “Rise to Power” in its entirety. Head over to metalhammer.teamrock.com to listen now! The first official video from the album for the song “Absence” is available for viewing. The video was directed by David Brodsky of My Good Eye (Whitechapel, Revocation, Cannibal Corpse, GWAR). Watch the video HERE. From August 21st through August 24th, BATTLECROSS will play a handful of CD release shows, before they join up with GWAR and Butcher Babies for a North American tour kicking off August 25th in Millvale, PA and wraps up September 18th in Rochester, NY. Fans can expect to hear BATTLECROSS classics and the blistering new tracks from “Rise to Power“. A complete list of dates can be found below.